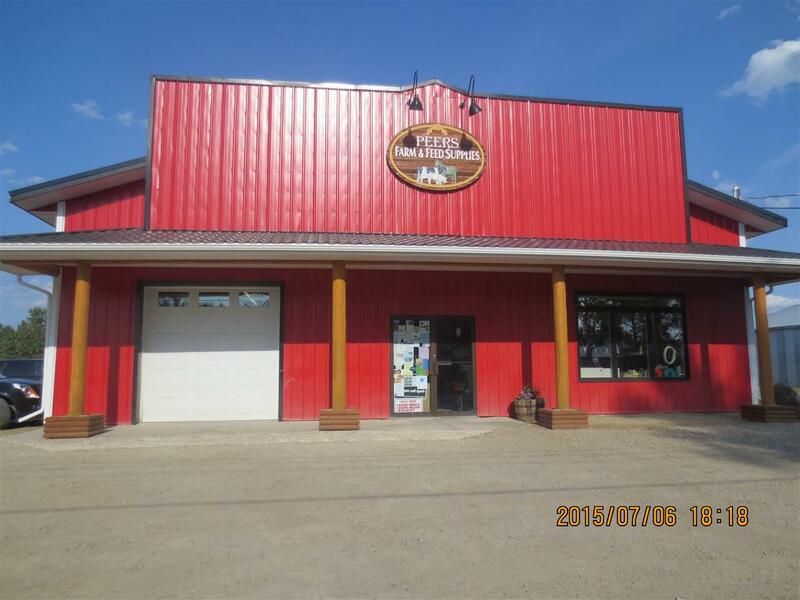 Well Established Busy Farm Feed Store in the growing Hamlet of Peers, Alberta with HWY 32 Frontage Supplying: Feed, organic feed, minerals, & vitamins for Cattle, Horses, Sheep, Pigs, Dogs, Cats, Fish, Birds, Poultry, and other animals, fencing of all types, gates, bedding, rubber boots, brooms, shovels, country home decor, lawn care, camping, feed bins, oil field, peat moss, landscape rock, tools, equipment rentals, sprayer units, shelters, wind mills, hardware, vet licence, and much more. 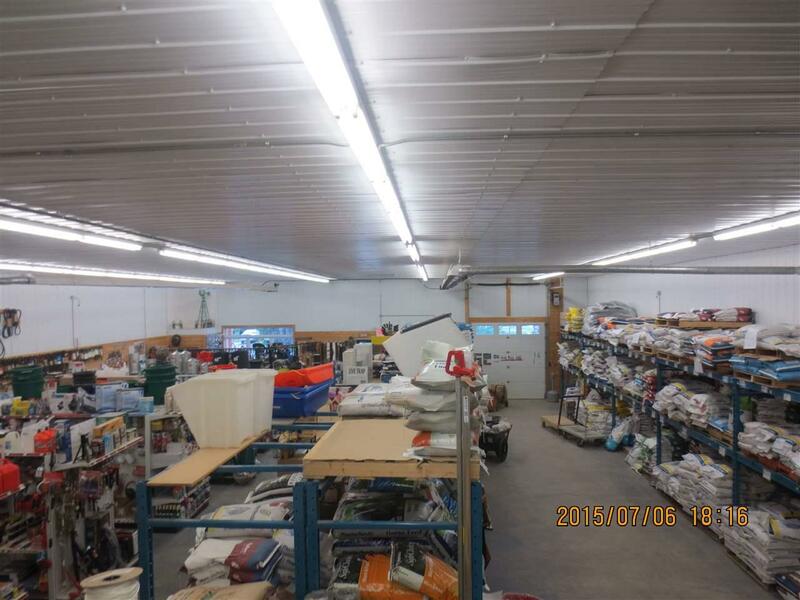 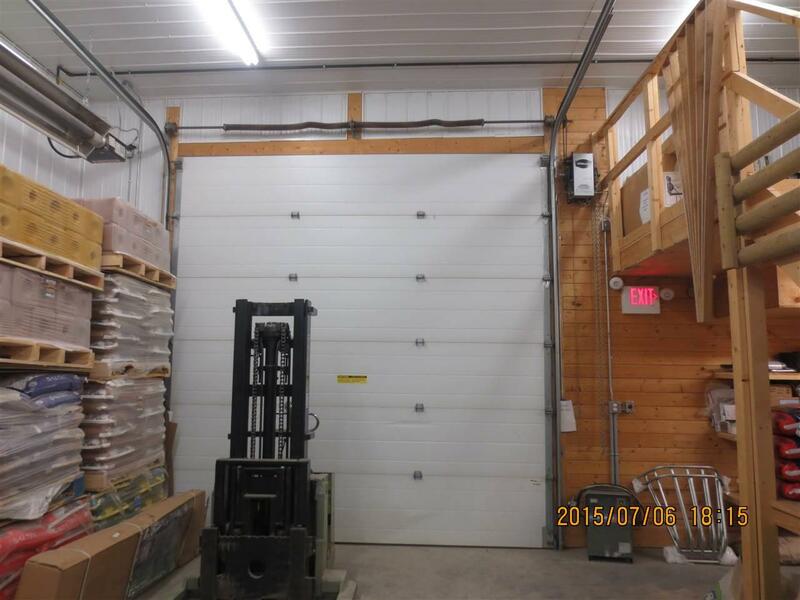 2009 built 4000 sq ft warehouse with 2.99 acres with a fenced compound, security system, alarm system, video surveillance, drive through 12 ft door at back, 8 ft auto door, mezzanine for storage, office, washroom and lots of parking for customers. 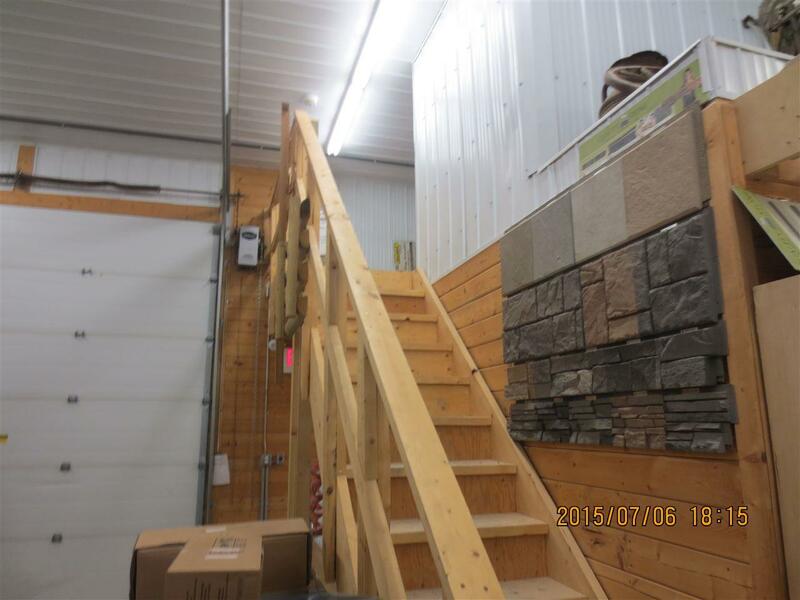 Great family business, with potential to expand into many different areas of specialization.